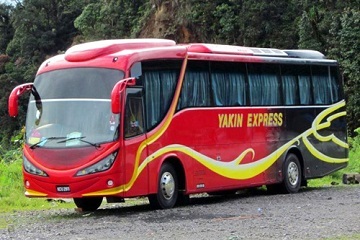 Pacific Express is an expanding express bus company offering bus services from several spots to a variety of exciting destinations all around Malaysia, as well as Singapore. To ensure customers can enjoy maximum comfort throughout a bus journey, Pacific Express offers enough seating capacity and legroom space for peace of mind throughout the long hours of travelling. 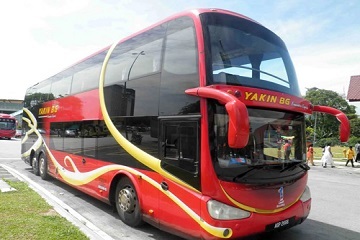 The company is based within three primary locations namely Ipoh, TBS (Terminal Bersepadu Selatan) as well as Johor Bahru and in partnership with Easybook, online bookings can now be easily made to purchase bus tickets. 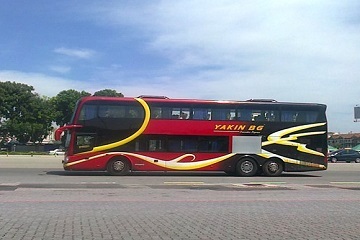 One of the many bus services by Pacific Express departs from Ipoh Amanjaya in Perak. 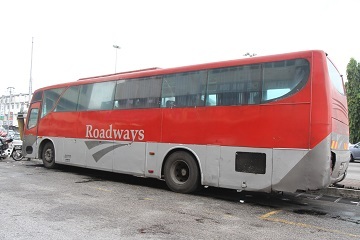 Buses from Ipoh head to several destinations including Kuala Lumpur, Pudu Sentral as well as JB Larkin Terminal. From TBS, Pacific Express offers daily bus routes heading to Butterworth, Sungai Nibong, Ipoh Amanjaya, Skudai, Johor Bahru Larkin Terminal as well as Woodlands and Golden Mile Complex in Singapore. Bus services by Pacific Express from Johor Bahru on the other hand leave to numerous destinations across Malaysia specifically taking off from JB Larkin Terminal. These destinations include Terengganu (Kuala Terengganu, Jerteh), Kelantan (Pasir Putih, Kota Bahru, Pasir Mas, Rantau Panjang), Penang (Butterworth, Sungai Petani, Sungai Nibong, Nibong Tebal, Sungai Bakap, Jawi), Kedah (Dataran Gurun, Alor Star, Jitra, Changloon, Kulim), Perlis (Kangar, Kuala Perlis), Perak (Ipoh, Simpang Taiping, Bidor, Teluk Intan, Kampung Koh, Sitiawan, Manjung, Lumut, Air Tawar, Seri Iskandar, Parit Buntar, Bagan Serai, Kuala Kangsar, Chemor, Sungai Siput, Simpang Taiping, Kamunting), Kuala Lumpur (Terminal Bersepadu Selatan TBS) and Selangor (Seremban). 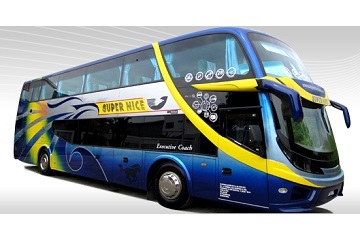 Specialising in a variety of bus routes, Pacific Express is among the many well-known bus operators in Kuala Lumpur. 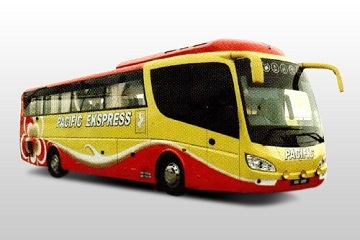 The operator always aims to deliver quality bus services with bus tickets offered at an affordable and reasonable price whereby Pacific Express has achieved exceptional reviews by its many customers. Each Pacific Express bus come equipped with a luxurious 27-seater in a 2+1 orientation within a single row. The seats inside are large and comfortable with a spacious leg room to accompany a pleasant bus ride. To cater to passengers’ optimal comfort, buses are also equipped with an air-conditioning system as well as an onboard television installed as a form of entertainment to complement long-haul journeys. Taking pride in the quality of its service, Pacific Express guarantees a pleasant journey to many favourite destinations onboard its efficient buses. With Easybook, online bookings can now be conveniently placed to purchase bus tickets. Book bus tickets on board Pacific Express today with Easybook.